Experiences make the best memories! Make someone’s day and say it with food. Got a foodie in your life? Our restaurant gift certificates make the ideal present lovers of food, wine & craft beer. No need to wait or pay for postage – Our certificates are emailed directly to you to forward on to the lucky person. Got a foodie in your life? Our restaurant gift certificate is the perfect present for lovers of food, wine & craft beer. Experiences make amazing memories! Gift Vouchers must be used in the Dining Room only. Gift Vouchers must be redeemed in one transaction and are subject to availability. You must notify the staff of your intention to use or redeem your Gift Voucher and quote the Gift Voucher number at the time of making the initial booking. The Gift Voucher must be presented upon arrival. Gift Vouchers may not be redeemed for cash. No credit or change will be given on the unused portion of the Voucher. Gift Vouchers cannot be combined or used with other promotions or discounts. 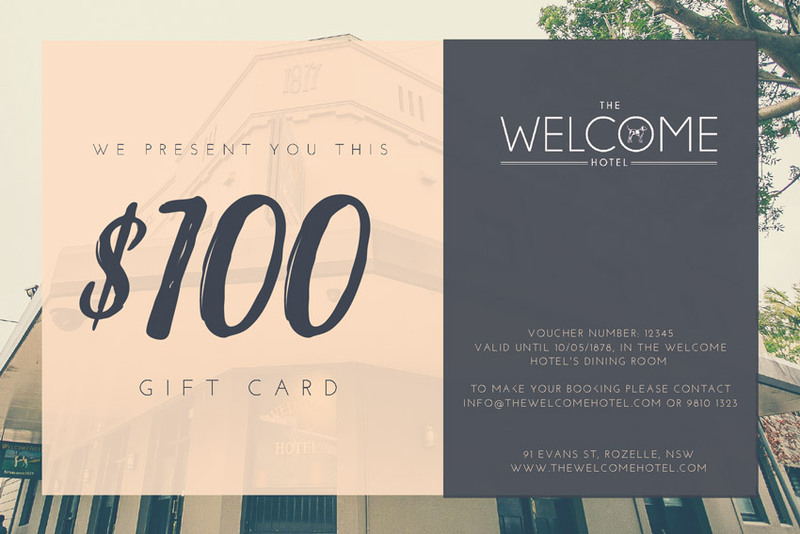 Gift Vouchers are not valid for deposits for group bookings, group meetings or any functions or special events. 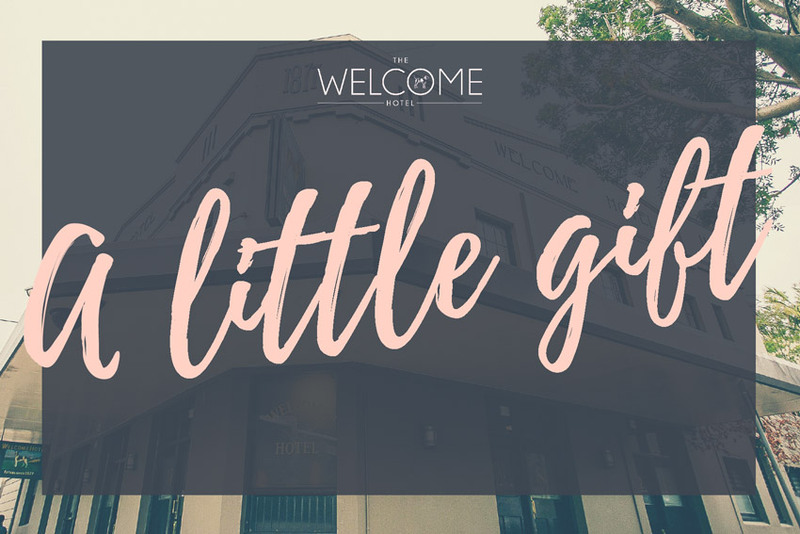 Gift Vouchers are not replaceable if lost, stolen or destroyed, photocopied or altered in any way and will not be accepted by The Welcome Hotel or be otherwise redeemable. Terms are void where prohibited by law.